Pulse Density Modulation (PDM) is a one-bit, high rate data stream that conveys a signal by modulating the density of the pulses. Applications for PDM include Micro-Electrical-Mechanical System (MEMS) microphones found in smartphones, and integrated circuits with PDM interfaces. 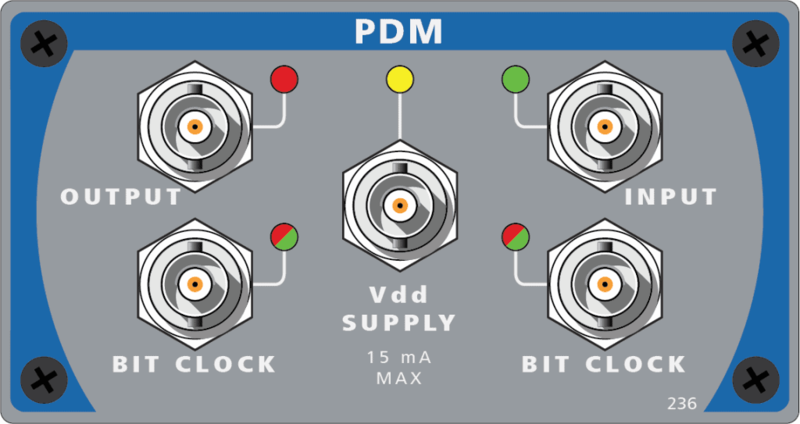 The APx PDM option provides direct connectivity for audio devices that have a PDM output (such as a MEMS microphone) or input (such as the decimator on a smartphone chip). In addition to all the standard audio measurements, APx provides variable DC voltage, variable sample rate, and a PSR (power supply rejection) measurement to test the device’s full operating parameters. No other analyzer combines direct PDM connectivity with APx’s best in class speed, ease-of-use, and performance. PDM (mono or stereo) can be selected for both the analyzer inputs and outputs simultaneously, or PDM can be paired with any of the other available I/O formats: analog (bal/unbal), AES or S/PDIF digital, Bluetooth, HDMI, or serial digital. Over 30 one-click audio measurements may be made, either individually or in an automated project. 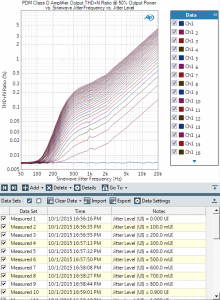 Features include weighting filters, and user defined high and low pass filters, 1.2M point FFTs, real-time oscilloscope monitoring, custom reports, statistical calculations, and quasi-anechoic acoustic measurements. When APx is the clock master (the typical use case for measuring a MEMS microphone), the clock rate is continuously variable from 128 kHz to 24.576 MHz, with an accuracy of 3 ppm. 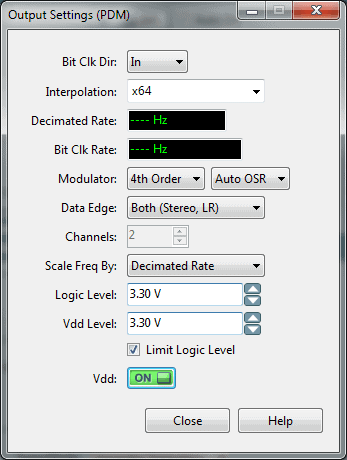 This supports sample rates from 4 kHz to 216 kHz, with 33 different interpolation ratios (from x16 to x800) and 45 separate decimation ratios (from x1 to x800). The same clock range is accepted by APx when the external device is the clock master. Both input and output can be configured as a master or slave independently, and the built-in modulator can be set for 4th or 5th order operation. The logic level and external power supply voltage are variable in 0.1 V steps, allowing testing beyond the range of typical devices. These are set independently, with the logic level settable from 0.8 V to 3.3 V and power supply control (Vdd) adjustable from 0.0 V to 3.6 V. Additionally, AC signals can be added to the external power supply, allowing automatic measurement of power supply rejection (PSR), with support for 217 Hz square waves and adjustable duty cycle for GSM devices. Unique in the industry, the APx PDM option allows engineers complete access to the undecimated PDM bitstream via FFT analysis. 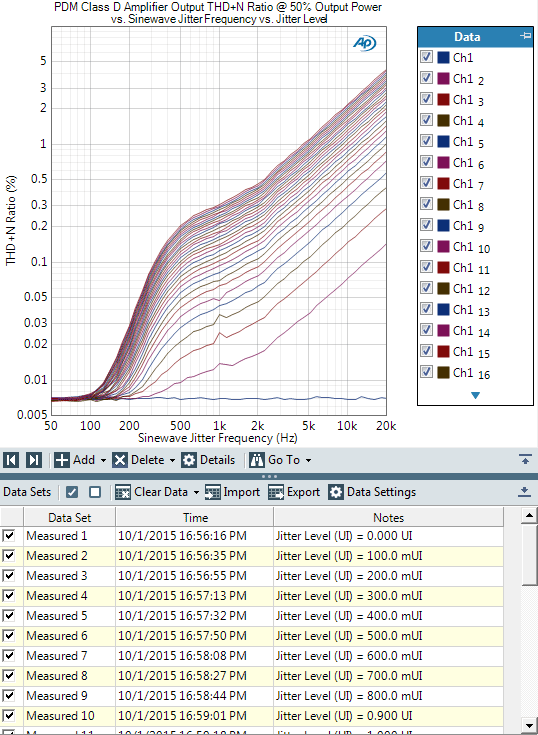 Issues with modulators or unwanted aliasing can be quickly identified and addressed alongside audio passband measurements. Most PDM devices have PDM at one end of the audio chain and a transducer at the other. APx’s Acoustic Response measurement makes 14 key acoustic measurements in 3 seconds and uses an energy time curve to find the ideal time gate quickly and easily.